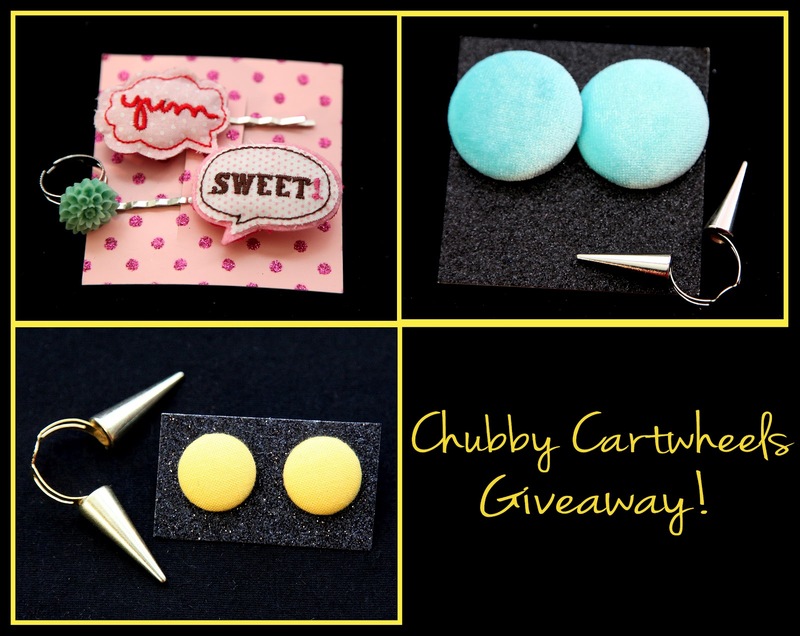 When In Doubt Wear Purple: Chubby Cartwheels Giveaway!! My store has now been open for 6 months and to say thank you to you all for your support I am doing a little giveaway! I am starting the contest today and will be ending it on friday April 20th. All you have to do to enter is make sure you have joined my blog to the right by clicking "join" and leave a comment below telling me which of these prize packs are your favorite plus your email address so I can notify you of your win! To up your chances of winning make sure you follow us and reblog all of the posts. Every reblog/retweet/repost is another entry!! This is an international giveaway as well. I don't care what country you are from. Enter away my dears! The 3 winners will each get their prize pack and 1 of those 3 will win the grand prize which is 1 free clothing item of their choice from ChubbyCartwheels.com!! I absolutely LOVE your style :) If I win I'd love the blue earrings/spike ring package! Stay Beautiful!!!!!! How fun! I'm following via Bloglovin now (though I've followed in G Reader for quite a while). I like the hair pin/flower ring set the best! I like the aqua earrings & spike ring combo! I just got my first pair of leggings from your shop a few weeks ago and I love them! Thanks for doing the giveaway. yojerri at gmail. And here I am XD. I still can´t believe the contest is international. Thank you again! Totally love the blue earrings, because they would absoluty fit to my eyes. Im so excited for this contest! Thank you so much. I love the button earrings and those bubble hair pins are to die for. the yellow button errings and spike ring are amaziinggg! I love everything and LOVE your shop! If I were to win, I'd love the Yum/Sweet bobbypins & flower ring! So cute! I love the first prize pack! That flower ring is adorable! I just ordered my first pair of leggings from your shop and I'm so excited! Love your stylish fatshion and for this giveaway-contest my favorite one would be the yum/sweet hairpins & flower ring package! All of the packages are steller, but I'm pining for the blue earrings and ring set! I love the yum/sweet hairpins! Oooooh, I really love the yellow earrings w/spikey ring! :D Thanks for doing an awesome giveaway! Girrrrrrl - your whole shop is delightful and fabulous to the last drop! I'm loving those Yum/Sweet hairpins. Ugh - Fantastiiiiic! I think the blue earrings and spikey ring is my favorite prize pack! The hairclips are a close second though! I follow you through GFC and BlogLovin'! I love it!!! Prize Pack 1 is amazing! I am seriously DIGGING ON the yellow earrings and ring prize pack!